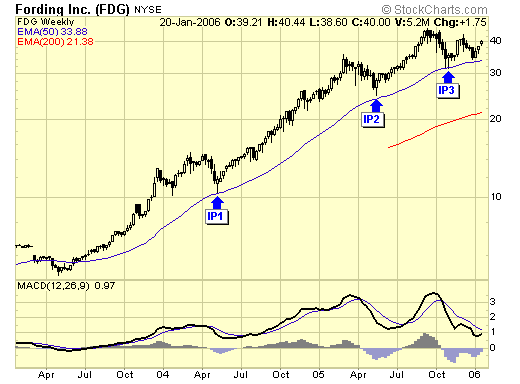 We recommended FDG to our subscribers in Nov at the entry price of $34, but unlike previous IP signals, this IP3 did not take off as expected, therefore, for risk management, we exited with small profits upon a break of short term support. 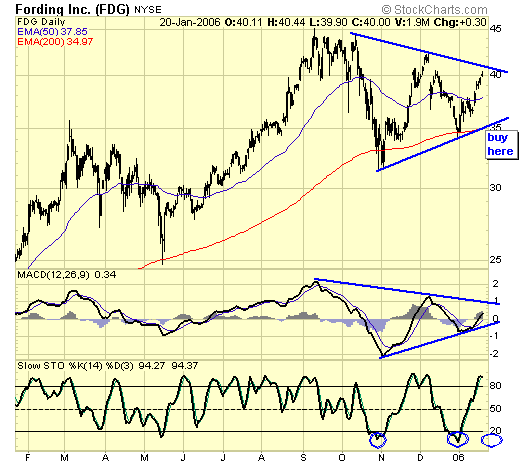 As you can see, the consolidation continues, and many are anxious to re-enter. A consolidation occurring at the high has very bullish implications, as it is normally a pause before resumption of the major trend. IP signals are impulsive, and are very profitable if successful. From a closer look, our entry in Nov was near the 200ema, and we exited upon a break of support at the 50ema, it was a good call to go to cash as traders get whipsawed during a complex consolidation, or what some technicians refer to as an “ABCDE” correction, which is a major correction with a very bullish outcome, most of the time. Ideally, we will have a low risk entry point upon a final pullback to the lower support near the 200ema, with stochastics at previous oversold levels. And if a breakout occurs without the pullback first, then we will buy it upon a pullback to test the breakout point. 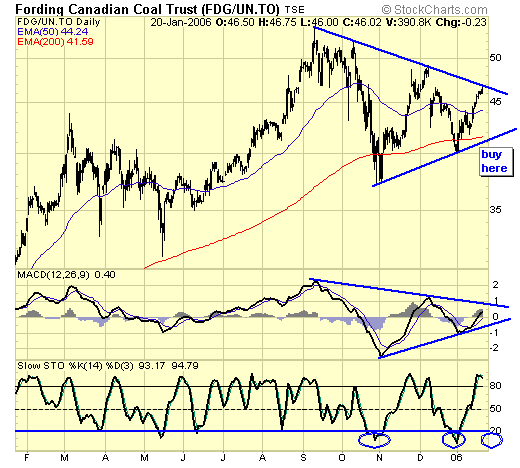 Here is the Canadian version, interestingly, this is a Cdn stock but has more coverage in the US than at home. Current yield is around 14%, it is high income with excellent growth potential. But no set ups, no trades. Let it come to us, do not chase it.